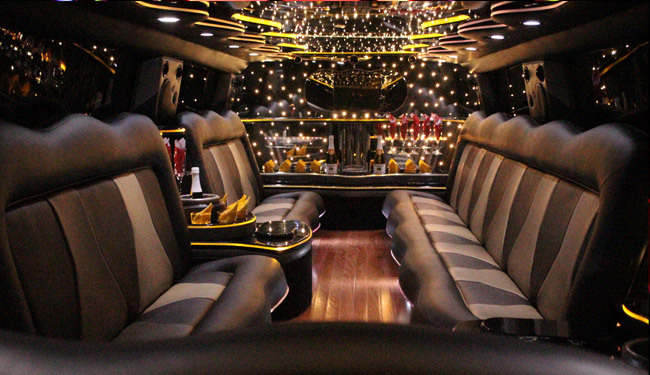 "These guys have the highest quality limo in Grand Rapids"
We have the largest selection of Limo Party Bus Rentals in Grand Rapids. Our luxury fleet handles weddings, prom, bachelor parties. We have pink limos for bachelorette parties as well. We also have black and white affordable Lincoln Stretch Coach limousine & Lincoln Town Cars for airport transportation and executive / corporate transport. All of our limousine have more expensive interior than our competition. We have been in business for over 26 years, and now home of the largest fleet in Western Michigan. We are passionate about acquiring the coolest limousines in the market. 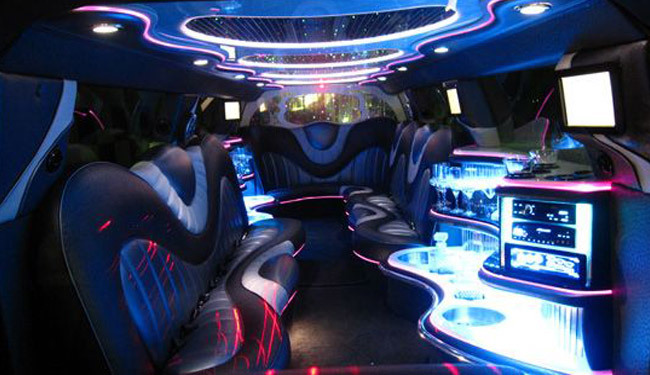 Our limo rentals are unmatched in style, & style, the party buses are newer models than the competition. We are professionally licensed with certified drivers that go through heavy screening & trained to give clients VIP chauffeuring service. You will have great comfort & leisure when riding with us. "These guys are simply fantastic! I've tried various limo companies in Grand Rapids area including Dadds, Affordable limousines, DJ Limousines but I have to say Crystal Limos had the best ones! Thanks John" -Chris S.
"I am very impressed by this company. The stretch H2 Hummer we got was amazing. The inside was beautiful and clean, there was plenty of room to have a blast. Thank you guys" -Lindsey F.
"We rented the Audi Q7 stretch, and did our bachelor party in style. It was awesome, couldn't have asked for a better limo and driver. He was so courteous and easy going with us. The sound system inside was great too. The best limousine experience I've had." -Mark R.
We have 14 Passenger Party Bus, 24 Passenger Party Bus & 40 Passenger Party Bus that come equipped with very nice interior. As the leading Grand Rapids Limo Company we have the capital power to also spend the most amount of money into our vehicles, meaning our clients get to enjoy the very best party transport in Western Michigan. 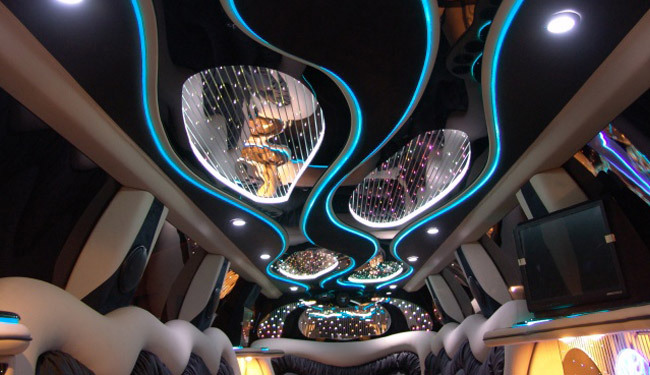 Why we are the best Limousine & Party Bus Company in Grand Rapids, MI? 1. Our fleet is updated every couple years: We trade in our fleet and get new limousines and party bus every couple years to ensure you are riding in the newest, most pristine limousines. We implement the best interior possible just check out the pictures at our fleet page, our competitors do not have interiors that are as nice as ours. Let's face it not all limousines & party bus were created equal even if it appears similar on the outside. 2. Largest Fleet in Grand Rapids: We have the largest selection of fleet in Grand Rapids, MI. H2 Hummer Stretch, Lincoln Stretch, Navigator, Audi Q7, Pink H2 Hummer to name a few. We are dedicated to giving our clients the best limousines to choose from. So we put heavy emphasis on reinvesting in the coolest limos out there. 3. Our experience: We have been in the limousine business for over 26 years which makes us one of the most experienced limo company in Western Michigan. We have learned a lot along the way. We are well versed with handling any kind of event from wedding, bachelor, prom, birthdays, you name it. We set goals each year to continue to improve our service & company on all levels. 4. Available 7 days of the week: We are here to serve you 7 days out of the week. If you would like to get a quote or make reservations call us at 616-682-6226 or fill out the quote request form above. 5. Local Grand Rapids Company with Personable Service: We are local to Grand Rapids, MI so you are not going to paying extra for some of these Metro Detroit companies that drive an hour to get to GR. This is why if you want the best rates, it is important to go local. We value this great city and work hard to give phenomenal services. Our staff is friendly and courteous. We rely on word of mouth for our business so every client is very important to us. 6. Fully Licensed Limo Company: We are legally licensed limo company with our vehicles passing strict safety regulations each year. Some companies do not operate with licenses. We pride ourselves on our integrity and commitment to setting the standard for proper limousine & party bus service in Grand Rapids. 7. Well Connected to the Community: We are not only locally operated business, but we also get involved in many of the local charity and fund raiser programs. We also know every little venue in the city for recommendation on your special day. Whether that is one of the many great restaurants or bars / clubs, we can get you to some of the coolest parts of town which you may have not explored yet. Grand Rapids is a great city and we look forward to chauffeur our clients around to show the excitement that's here in the Western Michigan's great attraction point. 8. Quality over quantity: We have a vision of what limousine service is supposed to be. A luxurious event where someone is elevated to extraordinary hospitality service. In order to achieve this level of quality service, we do not compromise on our fleet nor our drivers. We have the best of both. While our competition may try to under cut our rates, we can be certain that our limo service is the highest quality. Our rates are affordable but we do not try to cut corners. Instead of trying to decrease price to acquire customers, we focus on increasing the value. 9. Growing Client Base: We treasure our repeat customers and its growing every year, we welcome all customer feedback as good indicator of how our service is doing. We are always trying to adapt and make our clients happy. We want to be the company that gives the best, most personable customer service. 10. Our Goals & Intention: Even though we are veterans in what we do, we are always striving to become even better. Our goal is to be the very best limo company that we can be. What that means to us, at the end of the day, is to intend all of our clients have an extraordinary experience of riding in a luxurious limousine that reeks of quality & excellence. While our driver gives you VIP chauffeuring service, we want to deliver the whole package at the highest levels. We believe it is this drive to continually improve that has brought us this far, now proud to say we have the best line up of fleet available in Grand Rapids, MI. We have been servicing quality wedding limousine & party bus service for years, consistently receive great reviews on our quality vehicles and excellent drivers. We have the best Grand Rapids wedding limo from our beautiful white Lincoln Stretch to our stretch Escalade or Navigator. 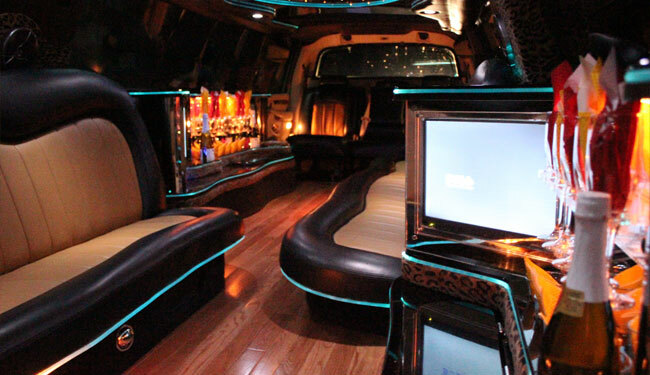 These are classy rides with luxury interiors from wooden floors to rosewood bar, it just doesn't get much better for a great wedding limousine in Grand Rapids. Our party bus can also serve bigger wedding groups. You will save money because we can handle multiple trips for multiple groups of family & friends to the ceremony so that everyone arrives on time & get to experience Crystal Limousine's luxury limo chauffeuring service. Crystal Limousine & Party Bus will service luxurious rides for the big Prom / Homecoming event. We have plenty of experience servicing Grand Rapids High School, Ferris State University, Grand Valley State University on their special day. You will love the big spacious Escalade, Navigator, or Stretch Hummer. For larger groups we have quality party bus available for you. If you are a parent, you will be able to remain relaxed knowing that your son or daughter will get to the event and back safely. ﻿For the guys we have the stretch Audi Q7 Limousine & for the girls we have the only Pink Limo in Grand Rapids, the pink H2 Hummer Stretch. Crystal Limousine has the largest fleet in Western Michigan & the highest quality. You will feel the class upon entry and our drivers will chauffeur you around Michigan to create a successful bachelor / bachelorette party. 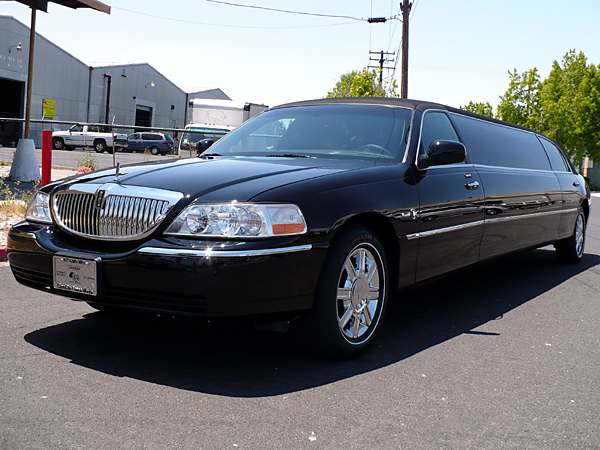 For this special event you deserve the best limousine service Grand Rapids has to offer. ﻿Crystal Limousine has quality black stretch Lincoln or black town cars or executive SUV's for the perfect Gerald R. Ford International Airport or Detroit Airport limo transport / shuttle service. You will be able to relax inside our comfortable leather seating with perfect temperature control. No need to worry about the hassle of parking, traffic, or arriving on time. We will make sure you will get to your gate on time so that all you have to do is jump into our limos / sedans and you are all taken care of. We have been servicing corporate clients for years. There are many limousine companies in Grand Rapids including Dadd's Magic Bus and Limousine, All American Sedan, Five Star Sedan, DJ Specialist & Limousine, A White Knight Limousine Inc, however Crystal Limousine (Grand Rapids Limousine & Party Bus) has the largest fleet out of any of the company and our vehicles are newer, this all thanks to our large repeat customer base that keeps us busy with many events to fulfill, which gives us the capital to continually reinvest into better products for you. We also have the funds to hire the best limo drivers in Grand Rapids, our goal is to differentiate ourselves from the competition by providing high-end limo service and party bus rentals that over exceed customer satisfaction.